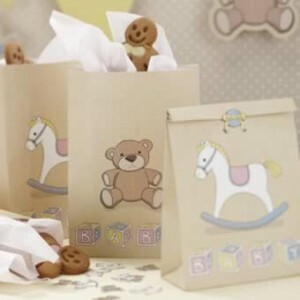 A pack of 5 rock-a-bye quality paper party bags. No party would be complete without a treat bag to take home.With cute stickers to seal the treats inside . The bags are W 11.6cm x H 17.1cm.